I don't know about your kids, but mine are hooked on Paw Patrol! I bet you are singing the theme song as you read this. It's ok, I'm singing right along with you! Spin Master Toys recently launched the full line of Paw Patrol toys to go right along with the show. I was able to preview these at Toy Fair back in February. I knew they were going to be a hit and I was right! Boston was so excited to dive in and play with his favorites from Paw Patrol. 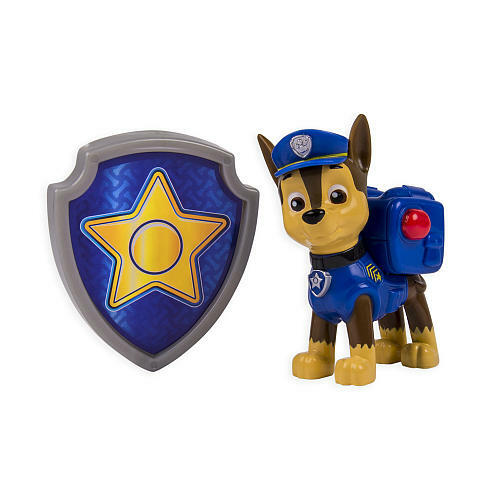 Action Pack Pup with Badge™: In every episode of PAW Patrol, the pups save the day with cool gadgets that pop out of their backpacks. Now, with the help of every Action Pack Pup, kids can transform their favorite character’s backpack with the push of a button. Every figure comes with a push-button transforming backpack and a kid-sized, snap-on role play badge. 1 “AG13” button cell battery required (included). PAW Patrol Racers™: The youngest PAW Patrol fans are sure to love these free-wheeling vehicles featuring Ryder and his pup pals as they race to save the day in Adventure Bay. Each PAW Patrol Racer includes a pup or figure molded inside that hero’s signature vehicle, allowing kids to bring their favorite action-packed quests to life. No batteries required. PAW Patrol Rescue Vehicles™: Kids can keep the entire PAW Patrol team racing to rescue missions together with the full assortment of Rescue Vehicles. 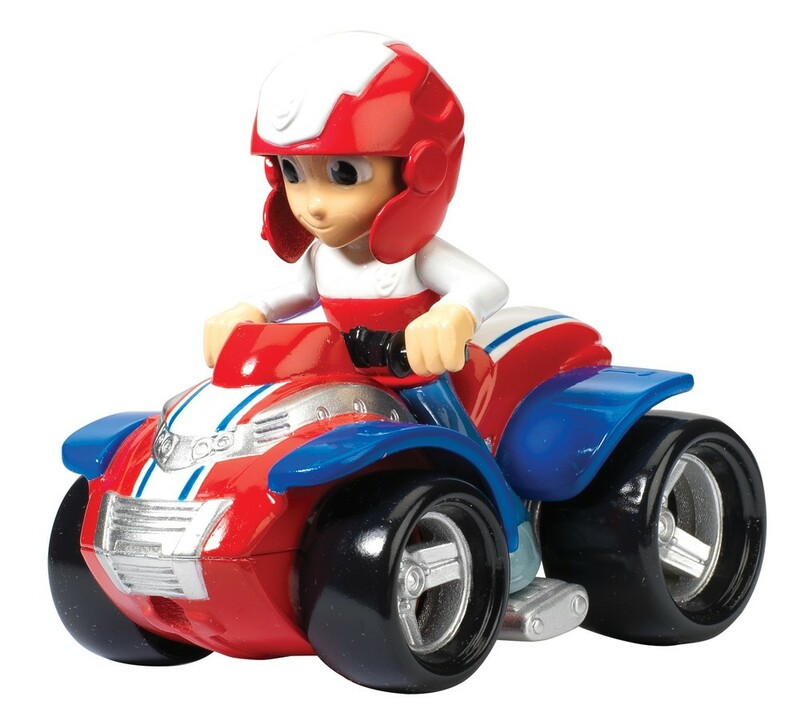 Each signature toy vehicle includes simple features and accessories, such as a moving ladder or traffic cones, as well as an articulated pup figure. No batteries required. 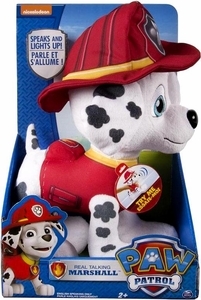 PAW Patrol Pup Pals™: Little ones can snuggle their favorite pup with these soft and cozy plush pals. Each 8” pup features a detailed outfit and embroidered, expressive eyes, making them must-have for tiny tots that can’t wait to experience play time with their favorite PAW Patrol friends. No batteries required. PAW Patrol Real Talking Chase™ and PAW Patrol Real Talking Marshall™: Preschoolers can bring home their much-loved pups from Adventure Bay with these high-quality plush toys. Each 11” tall plush features memorable catch-phrases straight from the show, including “These paws uphold the laws!” No batteries required. PAW Patrol Real Talking Marshall available beginning May 18. PAW Patrol Real Talking Chase available beginning in September. PAW Patrol On-A-Roll Marshall™: Allowing kids to bring the magic of the TV series to life, On-A-Roll Marshall’s doghouse transforms into a deluxe fire truck, just like on the show. Fans can put Marshall in the driver’s seat and the vehicle extends, propelling him forward with siren sounds and phrases from the show. 1 “Button Cell LR44” battery required (included). 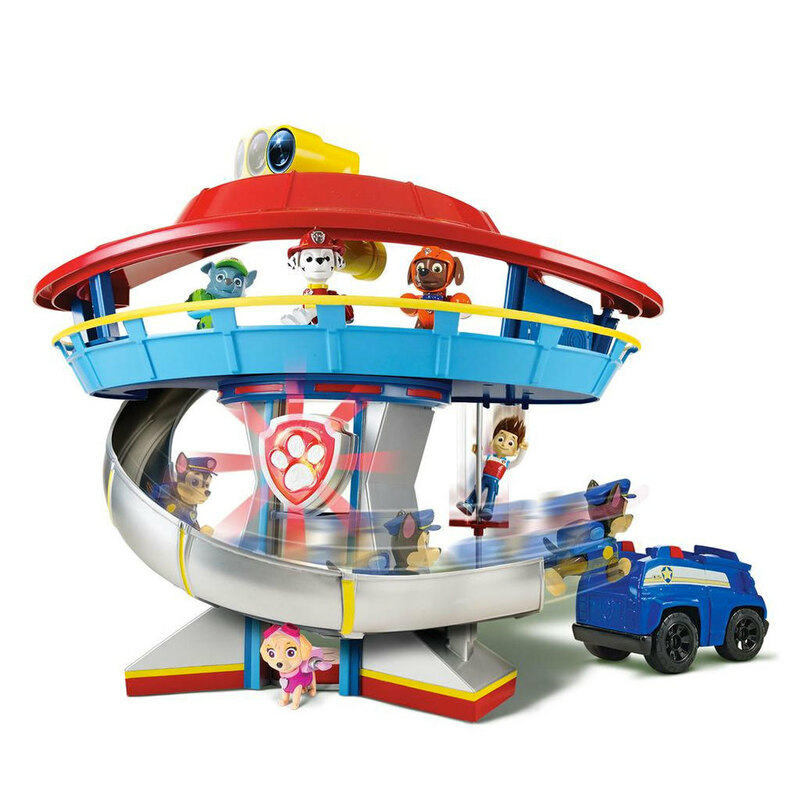 PAW Patrol Lookout HQ Playset™: The ultimate PAW Patrol toy – and a location featured in every episode – is The Lookout, the headquarters of the PAW Patrol pups. Complete with working elevator, slide, lights and sounds, this interactive playset also comes with a Chase figure and vehicle. No batteries required. Available beginning in September. The PAW Patrol line will launch exclusively at Toys“R”Us stores nationwide and online at Toysrus.com on Sunday, May 18, and will be available at additional select retailers beginning Sunday, June 22.